Great prompt service. To be recommended! As the battery is new, can not yet give an opinion .However your service was excellent. The same applies to the Proline battery you supplied too. Please ignore the star rating. great price, very fast delivery, great product. Good website, very easy to use, product delivered safe and sound in good time, Def reccomended. I always buy here. Never any problems. Customer Service is 5*****. Battery was delivered quickly and safely. The acid was secure. It accepted a charge and my old bike started immediately. Great battery. Simple to use and fit. Needed the battery in a hurry so well done on the prompt delivery. 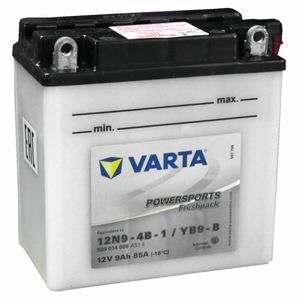 The battery was received the day after ordering. I filled and charged, then fitted and tested it. I would recommend you, excellent service. TOP service in all respects.